Native to Mediterranean climates, lavender is a fragrant herb that comes in shades of purple, blue and violet. Its scent is calming and soothing, which is why it's often found in lotions and candles. In fact, it's common for candle makers to use sprigs of fresh lavender and essential oils to create aromatic wax candles. Beginners who wish to make their own candles can easily do so without breaking the bank. 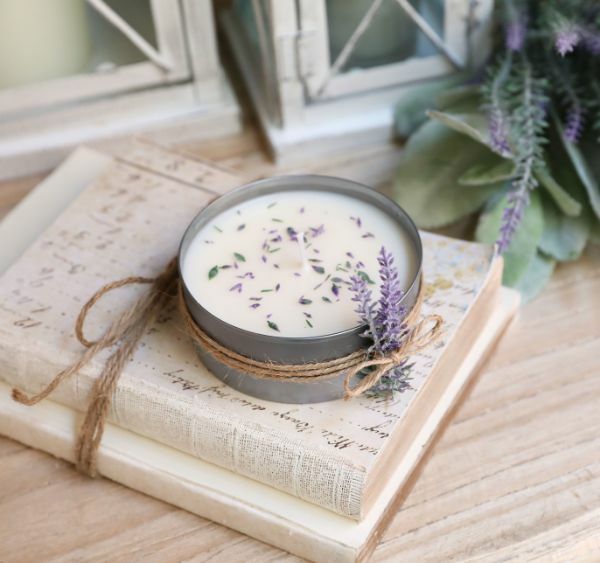 A tin can, some wax flakes, a wax melting machine and a bundle of fresh lavender all go a long way. Learn how to make an aromatic candle with a tin can and a few extra supplies. 1. Gather a small bundle of lavender and use shears to snip approximately 2 inches off the top of the bundle. 2. Snip a small piece of twine with scissors, then lay the small bundle of lavender flat on the twine. 3. Tie a bow around the middle of the lavender; use scissors to snip off excess twine. 4. Squeeze a small circle of hot glue on the side of the tin can, then roll the twine around the can approximately five times. Squeeze another dot of glue on the can to secure the loose end of twine. 5. Squeeze another small amount of glue on the freshly decorated can; secure the bundle of lavender to the side of the tin can. The bow on the lavender should appear uniform with the twine around the can. 5. Apply hot glue to the inside of the tin can, squeezing the trigger of the glue gun over the center of the flat bottom. Secure the candle wick to the surface. 6. Place the metal candle wick centering device over the wick. The centering device must lay flat on top of the can. The wick must poke through the hole in the middle of the centering device. 7. Set the wax melter machine to setting "3." 8. Shake soy wax flakes into the machine, filling the bowl approximately to the halfway point. 9. Melt the wax, stirring a few times with the Popsicle stick. 10. Add approximately 10 drops of lavender essential oil to the wax; stir the wax with the stick. 11. Pour the wax into the tin can, using caution not to pour it onto the center device. Fill the can with wax approximately 3/4 of the way to the rim. 12. Sprinkle a few loose pieces of lavender into the candle for scent and embellishment. 13. 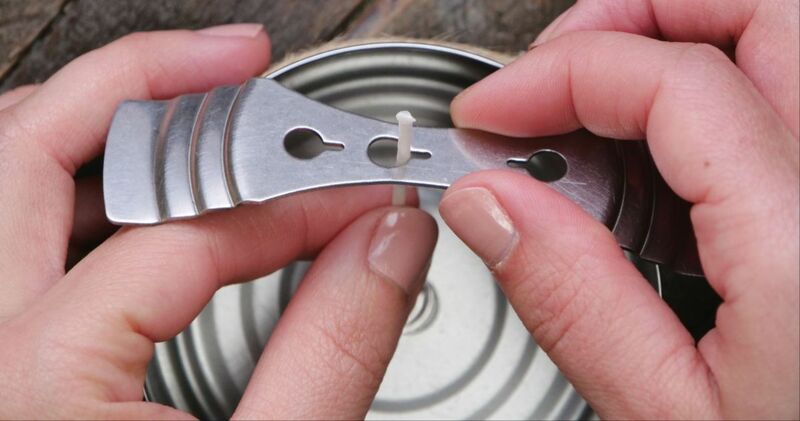 Remove the metal wick centering device from the top of the can. 14. Use scissors to snip the tip off the wick.